Heyy ya'll! 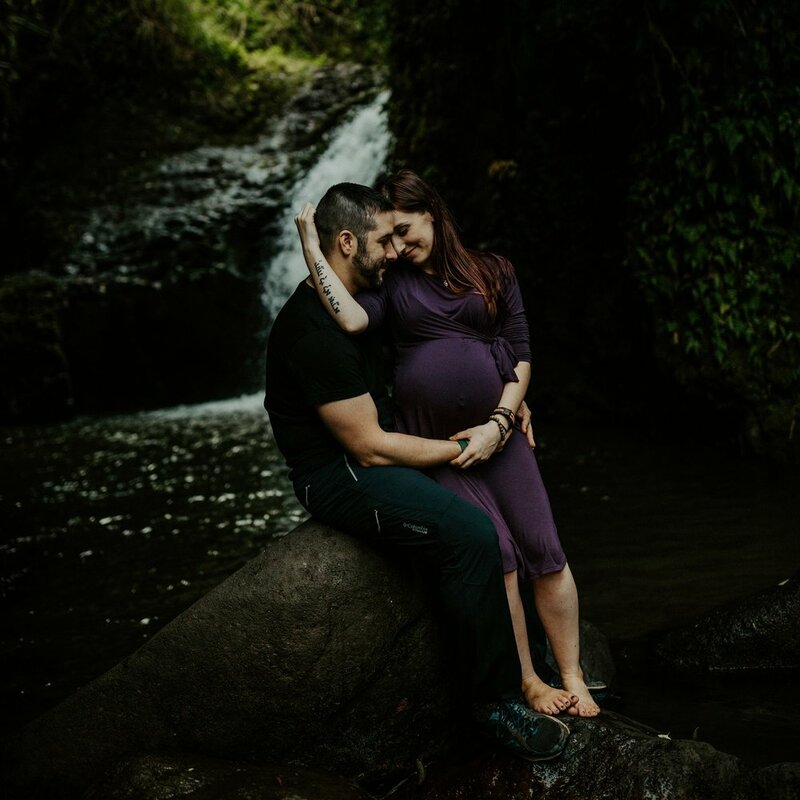 My life is an insane balance of motherhood, entrepreneurship, and adventuring with my dark and handsome ;) Usually, love stories don’t begin with “I first noticed her after she throat-punched me...” but it’s US. And I love us. A couple of black eyes and busted lips later, we’re self-defense instructors, life-long partners and parents together. Our daughter is a ray of sunshine and keeps us laughing every.single.day and her eyelashes are honestly infamous. Our son’s expressions are freaking hilarious and we can’t believe we have a ginger. Most days, you'll find me in yoga pants and a messy bun, while seeming to never finish that cup of coffee I've reheated a.million.times. I cannot live without sunshine and am desperately trying to keep my plant babies alive and happy. *fingers crossed* and YES. I know I'm short ---where my fellow shorties at? !--- but it's cool, I've got my trusty lil step-stool with me. But real talk; being a creative is this awesome struggle of impulsive bursts of art and ideas coupled with the realism of paying bills and managing responsibilities. There's highs and lows in this creative journey and I am learning to embrace each moment. Trying to keep it real and honest on the social with dialogue of body positivity, community over competition and sharing love. I am a Raleigh-based adventurous wedding and boudoir photographer who is all about PASSION and capturing raw moments. Photography is more than just photos, it’s an experience. I am not here to show up as a just another vendor or awkwardly third wheel your session while shouting -smile- at you. NOPE. I am here to get to know you, your story and what makes you light up. I’m here to capture you, right now, right here, so you can look back and remember this season. Because when I get to know you on that level, I am able to capture your story that much better. That is what I value - THAT is what sets my soul on fire - capturing the real, raw moments and emotions that are uniquely YOURS. I am gonna give you a killer experience because I GIVE a damn about you, your vision and your story. It matters to me that how you FEEL about each other is expressed in your photos. Those messy, in-between moments. My couples give me all the passion, intimacy and sultry vibes because they TRUST me. I got you. 100%. You are not just a number on my calendar - I am here to do everything in power to make sure you have memories you’ll cherish for a lifetime; photos you’ll print out and hang around your house and show your grandkids one day. I am a photographer for those who love deeply, live intentionally and value passion and adventure. My style is warm and moody; genuine photos of raw moments that tell a story. Hell yeah I’m obsessed. I want those intimate vibes.